Having the engine in the middle or as close to the center of the car as possible is deemed ideal in order to have even weight distribution between the two axles. But over the years, the configuration has mostly been reserved for expensive exotics unattainable by only the wealthiest enthusiasts. That’s why cheaper cars that have adopted the configuration have always stood out and usually attract some manner of cult following. 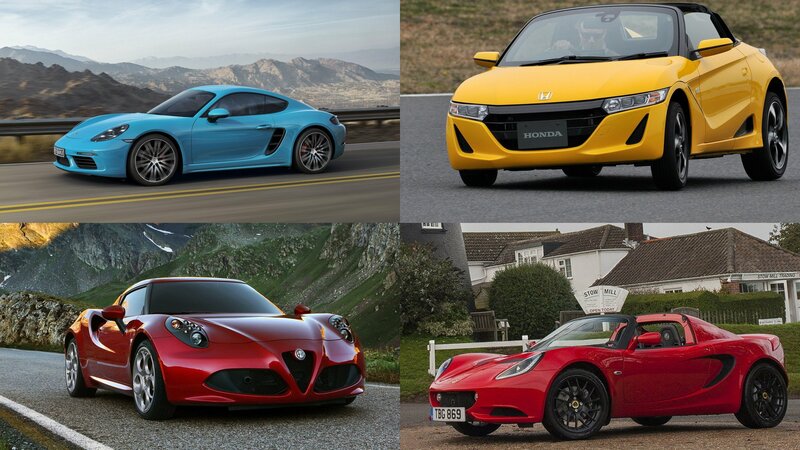 This article focuses on midship cars which you can buy right now without having to factor in the sale of an organ or anything involving a Ponzi scheme and wearing a fake mustache. Rest assured you can get attainable mid-engined kicks these days in the cars posted after the jump (in ascending price order), but don’t go thinking they’re cheap; they’re not. Honda does still have some sports car plans in the works, even if the S660 isn’t coming. We already know that a 300-horsepower 2016 Honda Civic Type-R is finally coming to U.S. shores next year, and a full-sized design study of a mid-engine sports car was recently shown at Honda’s R&D facility in California. Officially, this has nothing to do with future plans, but Mendel has said that dealers are asking for new sports cars every day, any sort of sports car. So hopefully we’ll be seeing something new soon, at least a concept, and maybe something to rival the Scion FR-S.
Honda’s new S660 kei-sports car is many different things. It’s the spiritual successor to the mid-engine Honda Beat kei-car. It shares its naming convention with Honda’s first car, the 1963 S500. According to reports from the other side of the world, it’s also every bit the fun-size sports car you hoped it would be, but unfortunately for the rest of the world, it’s not available outside of Japan. But, that could change, thanks to a more powerful S1000 variant, proposed for export markets, and a faster S660 Type R for Japan. According to Australia’s Motoring, the S1000 will be powered by a new 1.0-liter turbocharged three-cylinder VTEC, and will have a fixed roof, complete with snorkel-style engine air intake, and a 200mm increase in width to accommodate wider tires. The S660 Type R, meanwhile, will also get a hardtop and a more potent version of the 660cc engine. Both cars are expected to have in excess of 100 horsepower, which has some fairly large implications for the future of Japan’s kei-car segment. 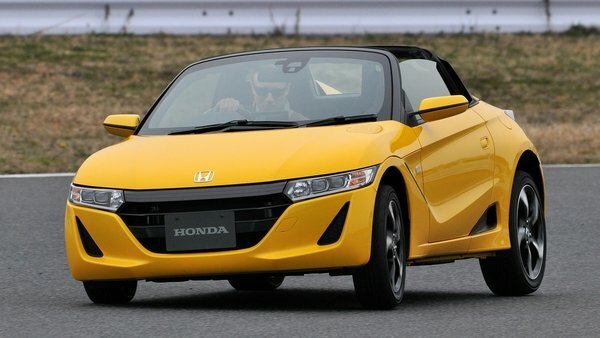 Continue reading to learn more about the future versions of the Honda S660. Honda S660 Will Get Type R and S1000 Versions originally appeared on topspeed.com on Tuesday, 21 April 2015 07:00 EST. Honda S660 Concept Edition originally appeared on topspeed.com on Tuesday, 31 March 2015 17:00 EST. 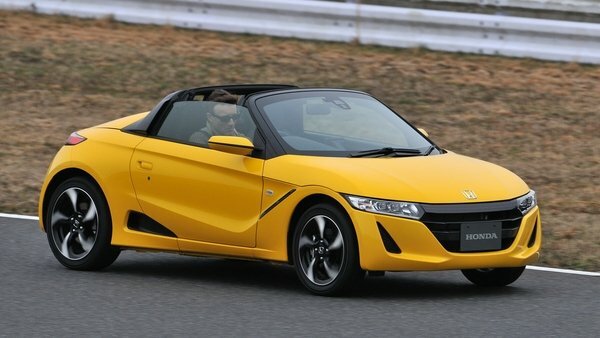 A spiritual successor to the Honda S600 and the Pininfarina-designed Honda Beat, the S660 Kei-roadster has gone on sale in Japan. The petite model was previewed by a funky-looking concept car at the 2013 Tokyo Motor Show, so reaching mass-production status in under two years is probably a first, even for Honda. Even though it has a retractable roof, which normally adds weight, the tiny mid-engine roadster is part of the Kei car category in Japan, weighing less than 2,000 pounds and measuring under 11.2 feet in length. Being part of that special category also means that the 660cc engine has its displacement restricted to that figure by law, but unconfirmed reports suggest that a hotter model sold outside Japan may benefit from a turbocharged, 1.0-liter engine, with its handling developed in cooperation with Mugen. 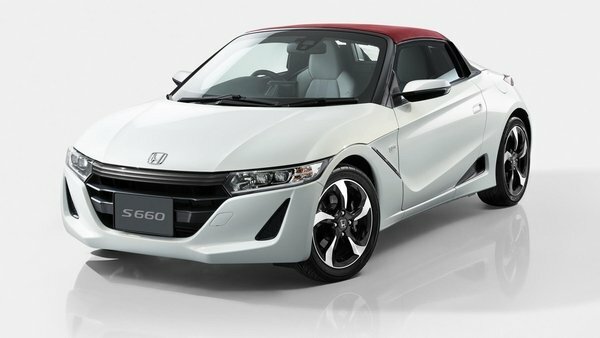 Updated 08/11/2015: A new report from Edmunds indicates that Honda is considering offering the S660 on the U.S. market too. Of course there are some questions that need answering first, like “It’s got to be commercially viable. It’s got to serve a purpose from a brand standpoint. What does it do for the brand?” – Honda. But a decision should come down soon. Continue reading to learn more about the 2016 Honda S660. While sports car enthusiasts were hoping that Honda would finally revive the S2000 to give the fourth-generation Mazda MX-5 a run for its money, Honda had other plans. Those plans included a successor to the tiny Beat, which arrived as the S660 Concept at the 2013 Tokyo Motor Show. After a year of complete silence on the matter, a leaked brochure confirmed the S660 was on its way to the production line with a mid-mounted, three-cylinder engine rated at 63 horsepower and 77 pound-feet of torque. 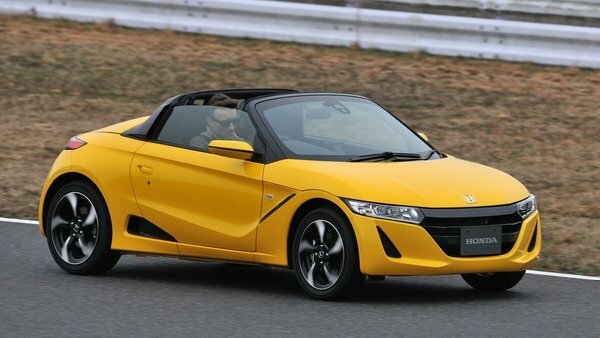 What the brochure didn’t say, though, was whether Honda would sell the S660 globally. Come 2015 and we still don’t know much about this tiny, sporty two-seater, but I can’t say the same about the folks over at Japanese auto website Love Cars!, who have already driven the S660. It’s all documented in the five-minute video above, in which a white S660 that looks as production ready as they get is being driven on Japan’s Sodegaura Forest Raceway. What’s more, it seems there are at least three more examples of the compact roadster at the track, which suggests the test might have taken place during a media event. Unfortunately, I’ve skipped too many Japanese classes to be able to decipher what the man behind the wheel has to say. Bottom line: the S660’s specs are still a mystery, but at least I can confirm the sports car is ready to hit auto shows and Japanese showrooms later on. Honda S660 First-Drive In Japan: Video originally appeared on topspeed.com on Thursday, 26 March 2015 18:00 EST.